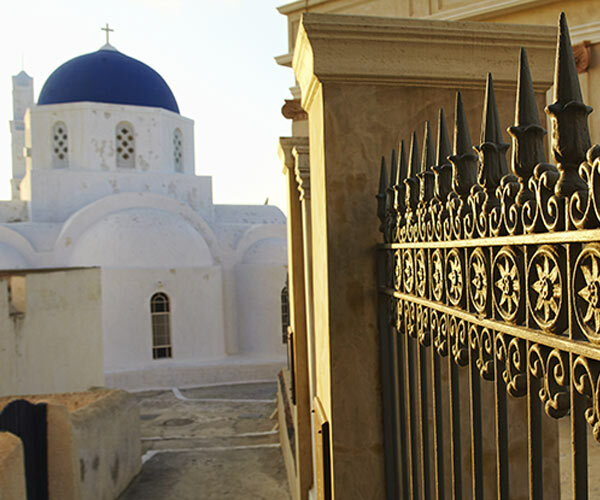 Explore the village of Pyrgos! Pyrgos Kallistis was the old capital of the island with a long and great history that has largely remained unchanged; it is showcased in the imposing mansions and the narrow streets of the village. 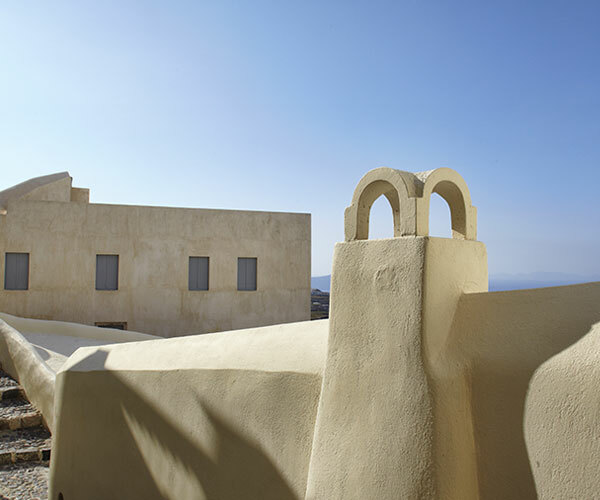 Stroll along the paths, visit the top of the castle and get lost in the magic of a bygone era and the view all over Santorini. Then head to the monastery of Prophet Elias, the biggest Orthodox monastery on Santorini that will enchant you with its breath-taking views. 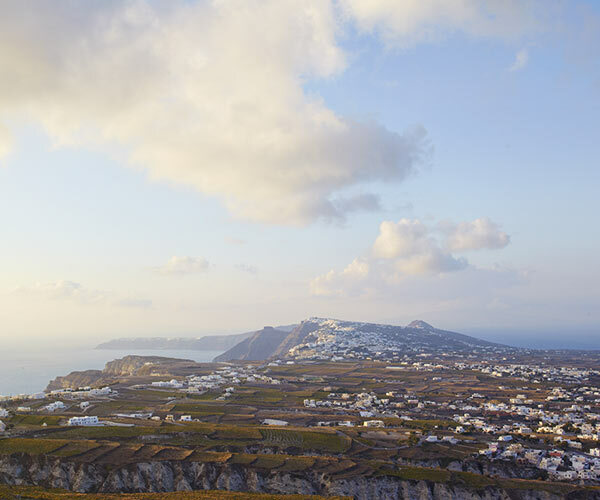 Walk downhill to the largest winery in Santorini, this Union of Cooperatives for Theraic Products and enjoy the view from the terrace before purchasing some delicious food goodies. If you like hiking then these destinations within the village of Pyrgos are perfect for you to indulge to your favourite sport. The convenient location of Pyrgos village, almost in the middle of the island, means that you can reach to the main attractions of the island after only a short drive. The volcanic beaches, the wineries, the capital of the island are just about a 10 minute drive from Zannos Melathron.